Ménerbes is a commune in the Vaucluse department in the Provence-Alpes-Côte d'Azur region in southeastern France, a walled village on a hilltop in the Luberon mountains, footbills of the French Alps. 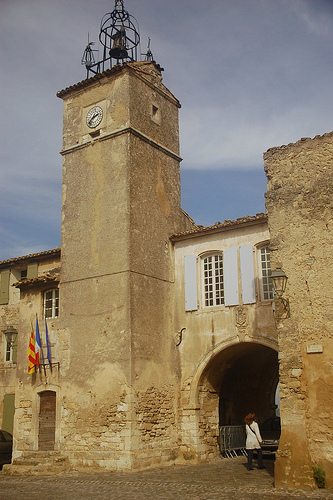 Ménerbes became known in the English-speaking world since 1990 through the books of British author Peter Mayle, tales of a British expatriate who settled in the village of Ménerbes. One of his books was made into a film A Good Year (2006) directed by Ridley Scott and starring Russell Crowe, which was filmed nearby in the region. Much was actually filmed in the nearby town of Bonnieux. Ajouter un commentaire sur "Ménerbes campanile"